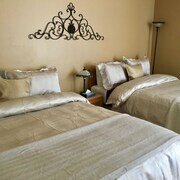 Clearly- they are renovating & doing an excellent job- so the room we were in was a bit dated , but clean. The front desk staff was excellent and the lobby is beautiful. The continental breakfast was quite generous and there was plenty to eat. It's also easily accessible from the Hwy. Great staff, great place to stay. Well located within town. 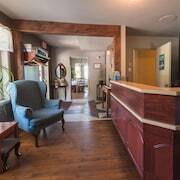 Where to find Isle aux Coudres hotels near an airport? 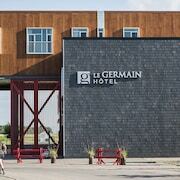 Where can I find hotels in Isle aux Coudres that are near tourist attractions? Visitors to Charlevoix who are searching for a place to stay in and around Isle aux Coudres have plenty of choices. Currently there are 11 hotels and apartments within a short driving distance of the center of Isle aux Coudres which are in Expedia's extensive network. 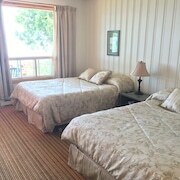 While Isle aux Coudres can't lay claim to having a huge range of hotels and apartments near the downtown area, Hôtel Motel Les Voitures d'Eau is handy enough to satisfy most visitors. 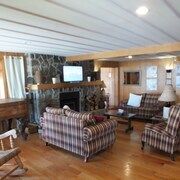 Isle aux Coudres offers just a small range of economical hotels. 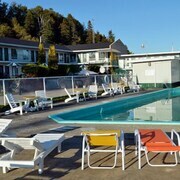 You'll find the Hôtel Motel Les Voitures d'Eau conveniently situated 0.5 kilometres (0.3 miles) from the town center. You could investigate the Fairmont Le Manoir Richelieu or the Hotel Pavillons Le Petit Manoir du Casino. The Fairmont Le Manoir Richelieu is 35 kilometres (21 miles) away from the heart of Isle aux Coudres. The Hotel Pavillons Le Petit Manoir du Casino, is located 35 kilometres (21 miles) away. 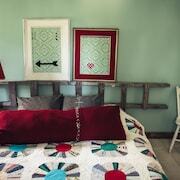 If you'd prefer, you could book a bed at the Hôtel Au Petit Berger or the Auberge La Maison sous les Pins. Saint-Joseph-de-la-Rive is 11 kilometres (7 miles) to the north of Isle aux Coudres and is home to the St-Joseph-de-la-Rive Ferry Terminal and Charlevoix Maritime Museum. Should you wish to spend a night or two in Saint-Joseph-de-la-Rive, check Expedia's booking pages for the latest deals at the Hotel La Roche Pleureuse and Auberge de Nos Aïeux. 35 kilometres (22 miles) to the northeast of Isle aux Coudres, you may also choose to stay at Pointe-au-Pic, which is home to the Auberge Fleurs de Lune and Econo Lodge. Should you choose to stay in Pointe-au-Pic, be sure to visit the Jardins and Maison du Bootlegger. Consider spending an afternoon hanging out with local sports enthusiasts at a local match. You'll find PEPS 95 kilometres (58 miles) to the southwest of Isle aux Coudres. For those who are interested in booking accommodation nearby, make a reservation in the Le Bonne Entente or Holiday Inn Express Quebec City - Sainte Foy. For those travelers planning on flying via Jean Lesage International Airport, you might like to stay at Grand Times Hotel Quebec City Airport, or Comfort Inn Airport East- Ancienne Lorette, both of which are a short distance away. 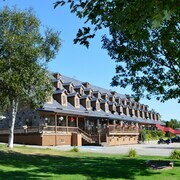 What are the most popular Isle aux Coudres hotels? Are there hotels in other cities near Isle aux Coudres? 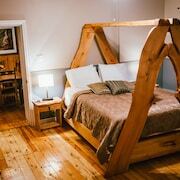 What other types of accommodations are available in Isle aux Coudres? Explore Isle aux Coudres with Expedia.ca’s Travel Guides to find the best flights, cars, holiday packages and more!